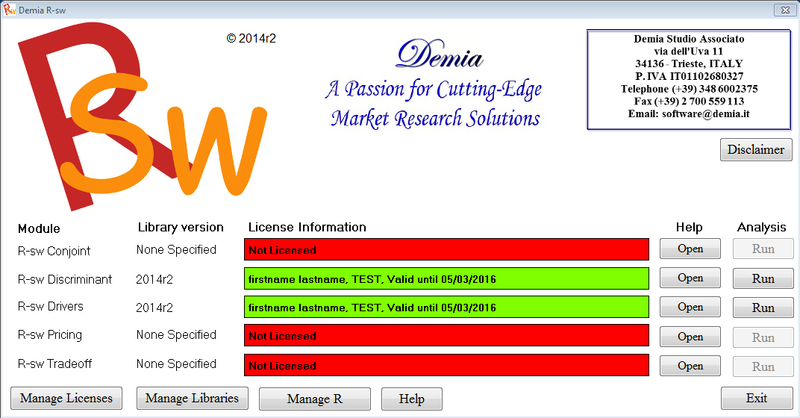 R-sw is a platform to run advanced statistical analyses specifically developed for market research projects. Currently, there are five modules available: R-sw Conjoint, R-sw Discriminant, R-sw Drivers, R-sw Pricing, R-sw Tradeoff. This module is distributed with two market simulators fully customizable by the licensed user. This module is distributed with a TURF simulator and an Allocation Tool, both fully customizable by the licensed user. All R-sw modules provide a user-friendly error reporting system and analysis progress console directly within the R-sw interface.